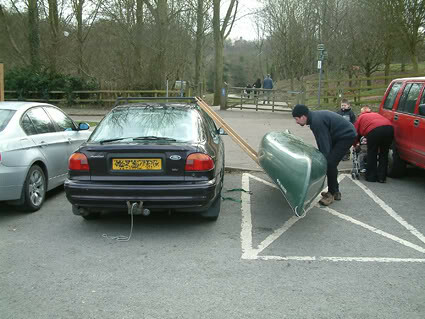 Here is my method for loading the boat onto the car. 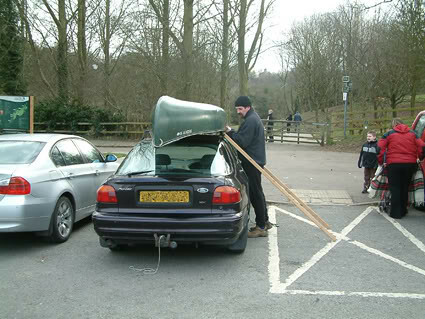 Where I live is quite windy so I developed this to make sure that I didn't drop the boat on the car when loading it by my self. 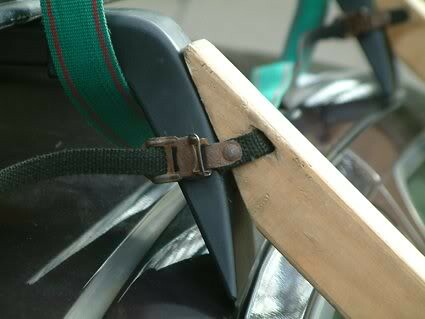 Its just two lengths of 2x2" wood about 7ft long and attached to the roofrack with straps (old bike toeclip straps). 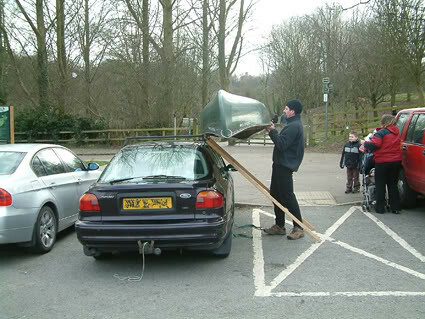 You will have to work out how to attach it to your type of roofrack. Set the canoe onto its edge and lay it against the bars. Reach under and lift the lower gunnel. Slide the canoe up the bars onto the roof. 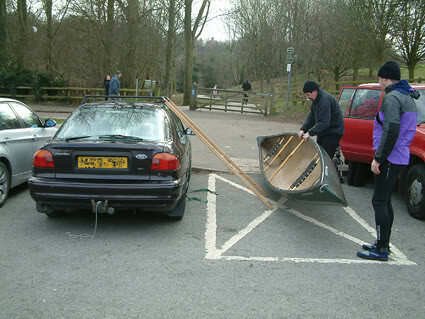 When the upper gunnel reaches the top of the bar, lift the lower gunnel up level before pushing it across the car. If you don't, the thwart will bash against the roof of the car and scrape the paintwork. Its even easier taking it off as gravity is on your side!! The Loading bars fit inside the car when I'm on the water.